THE GHOST WOLVES×HYSTERIC GLAMOUR CHECK HERE ! A first collaboration model with popular Japan made bag brand “Porter” is a leather wallet series. 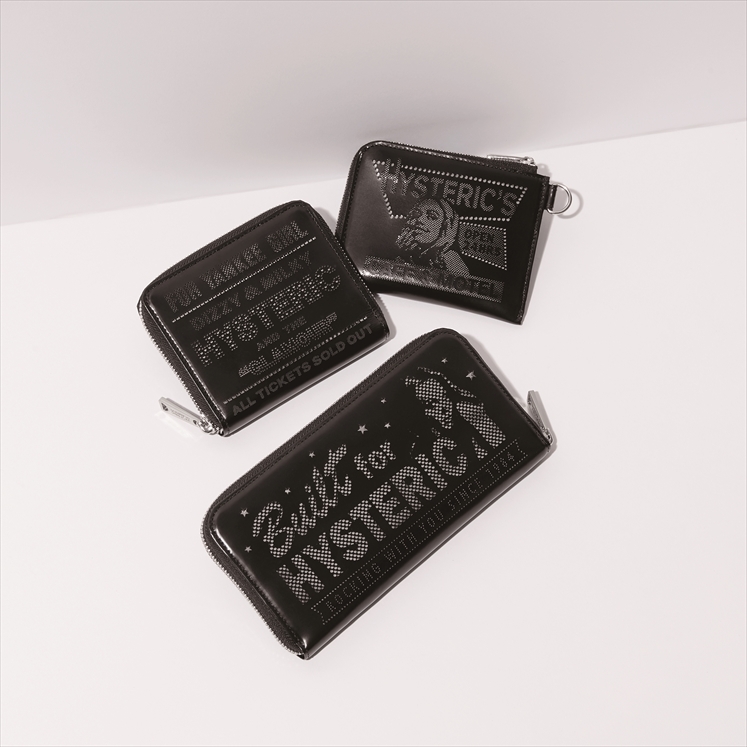 It is dealing with HYSTERIC GLAMOUR’s iconic graphic with punching leather process and function of pocket for IC card such as Suica can be placed on the back. 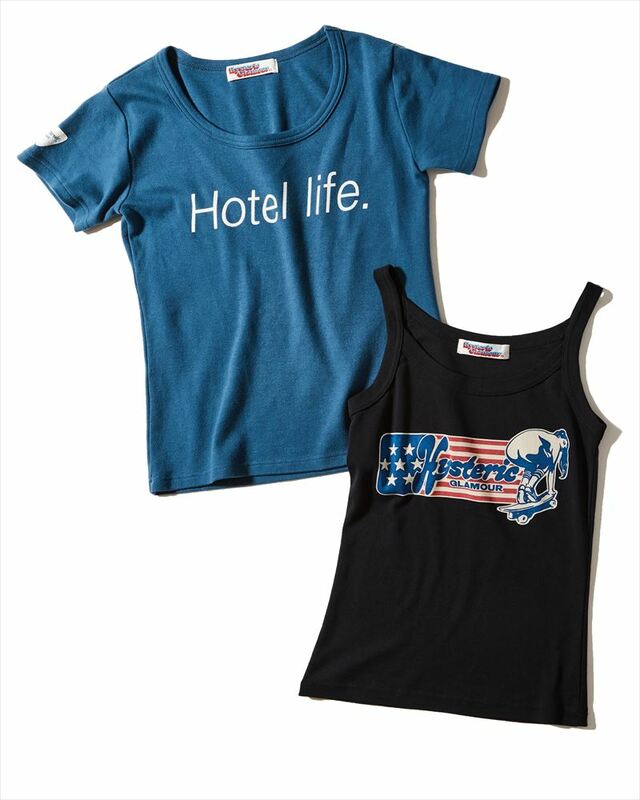 PORTER×HYSTERIC GLAMOUR CHECK HERE ! Denim pant has been standard item for everyone to enjoy fashion, but it is also special product for HYSTERIC GLAMOUR in the aspect of craftsmanship and detail we focused on. We develop denim to match in fashion, scene, and season for everyone to find their one and only denim pant. HYSTERIC GLAMOUR has been releasing original remake denim pants every season and fascinating many fan. This season, we have picked up Trompe l'oeil technique and other unique detail to express personality. For women’s, there are remake denim pants with a design of placing silver foil transfer on leg (left) and denim pants with capsule and tablet drawn with embroidery inspired from trick art (center). 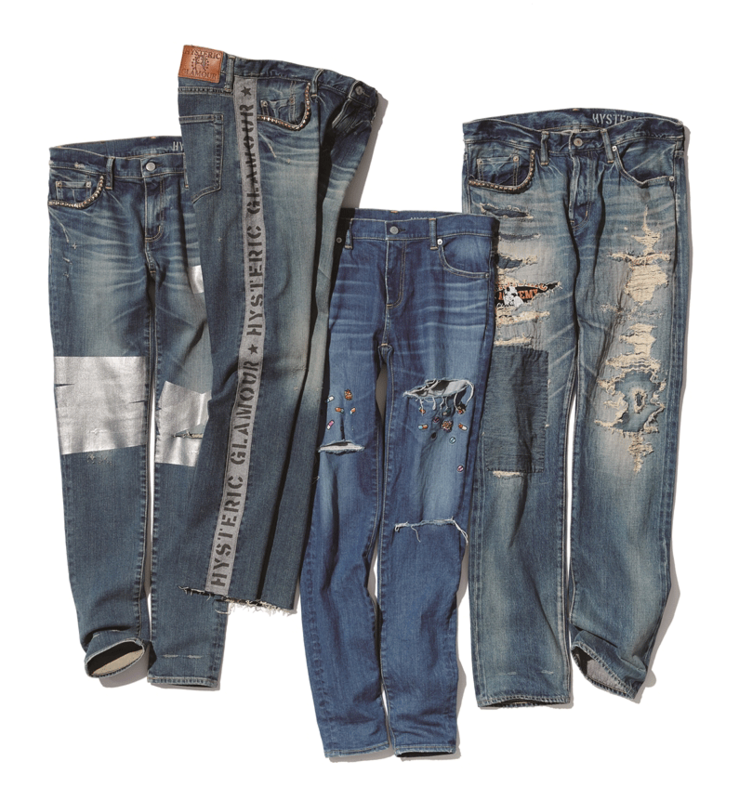 For men’s, silver stencil printed side lined denim pants with an arrangement of switching design in both side (center left) and remake denim pants with college Tee like patchwork replacement on crashed thigh is about to release. HYSTERIC GLAMOUR strongly recommends coordinating these unique denim collections with black leather outer. UK style rider jacket with soft sheep skin from New Zealand gives perfect fitting from the first time through the sleeve. Python patterned lining directs unseen fashion. Special collaboration model with pioneer of Psychobilly, The Cramps, customized patchwork and button badge using artwork of band is placed everywhere. 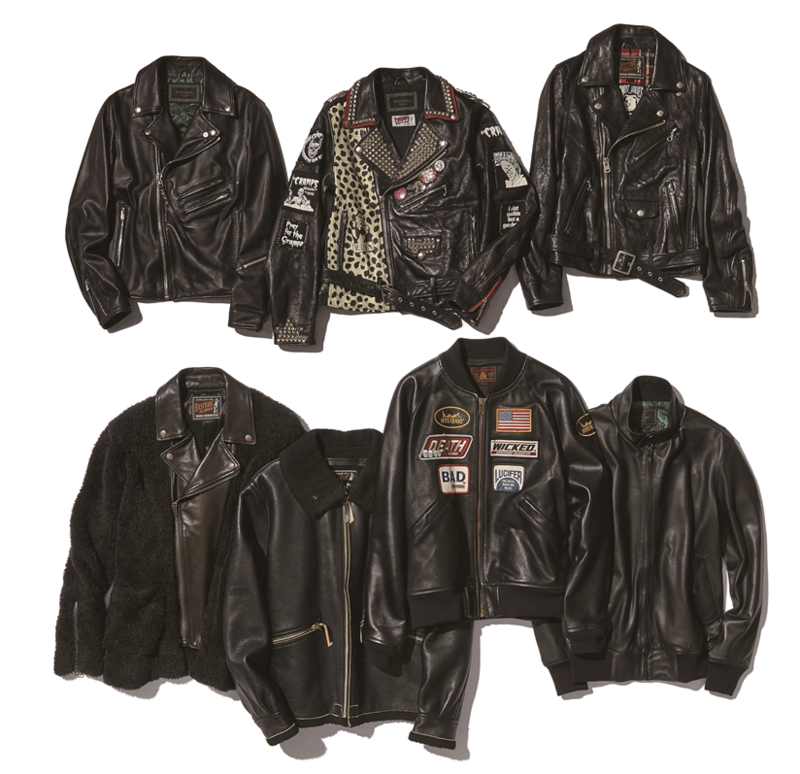 A collaboration model with punk duo “The Ghost Wolves” is based on American rider’s jacket with customization of collage designed lining using their live flyer artwork. The remake jacket with a combination of rider’s jacket and cardigan gives both hard and soft impression. Reproducing US Army vintage jacket D-1, it is using same sheepskin and acrylic boa as material. A long hair knit and boa outer is today’s trend. A masterpiece inspired from patch customized racing blouson originally made by prestigious rider’s brand, using smooth kip leather for excellent fitting. Based on immutable Harrington Jacket, commonly known as Swing Top, we have arranged with fine soft sheep leather. Placing python patterned lining to prepare for situation of taking off the jacket. LEATHER JACKET PAGE HERE ! Tsuyoshi Noguchi is a charismatic stylist gaining massive support from his successful carrier in fashion scene, such as introducing original styling in mass media and runway events, and directing not only celebrity styling but also participating in brand direction. 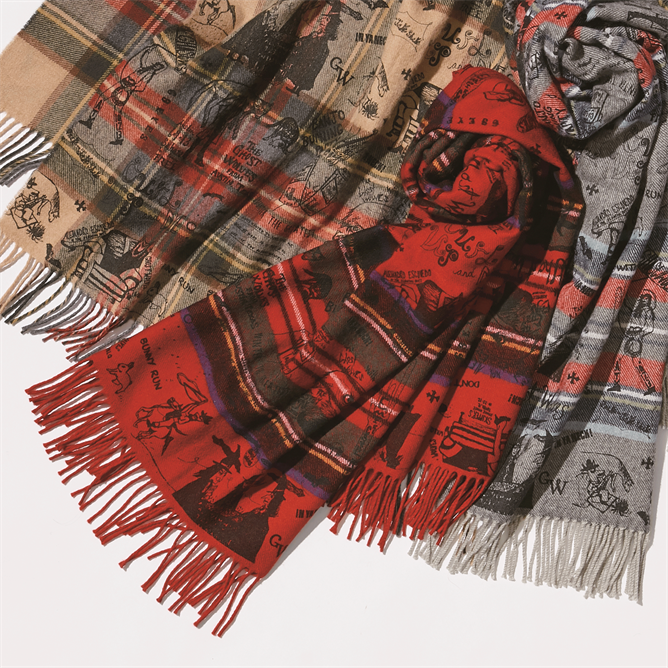 Speaking of the brand, HYSTERIC GLAMOUR also have a strong relationship with Tsuyoshi Noguchi and have released several collaboration items in the past, which every collaboration item created a buzz in the market. Our upcoming collaboration items are unified in black color. There are hooded jacket using parody logo of American automobile brand and eco fur of rabbit, a standard Tee with side pockets, slim fitted but stretched distressed effected denim pants, and mesh cap. 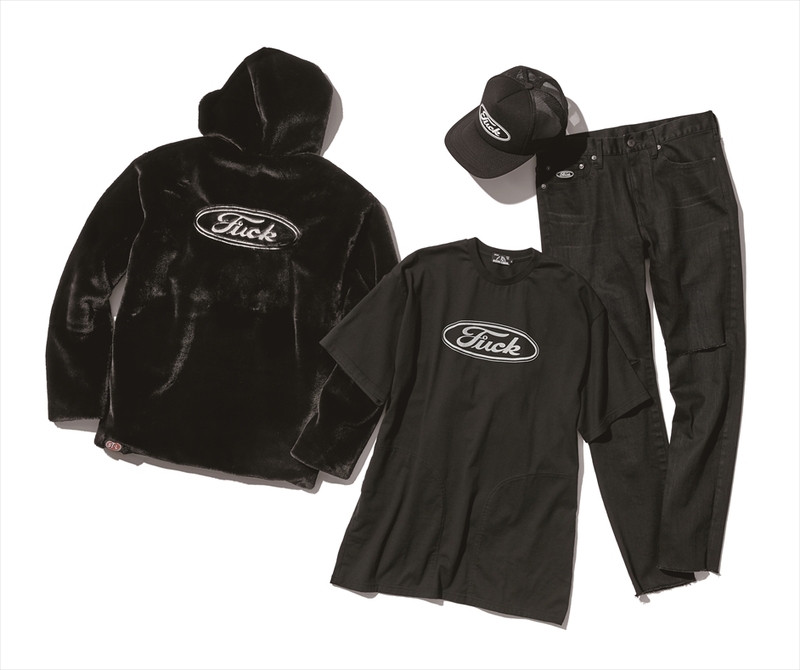 All items are designed from the sense of Tsuyoshi Noguchi and HYSTERIC GLAMOUR essence. 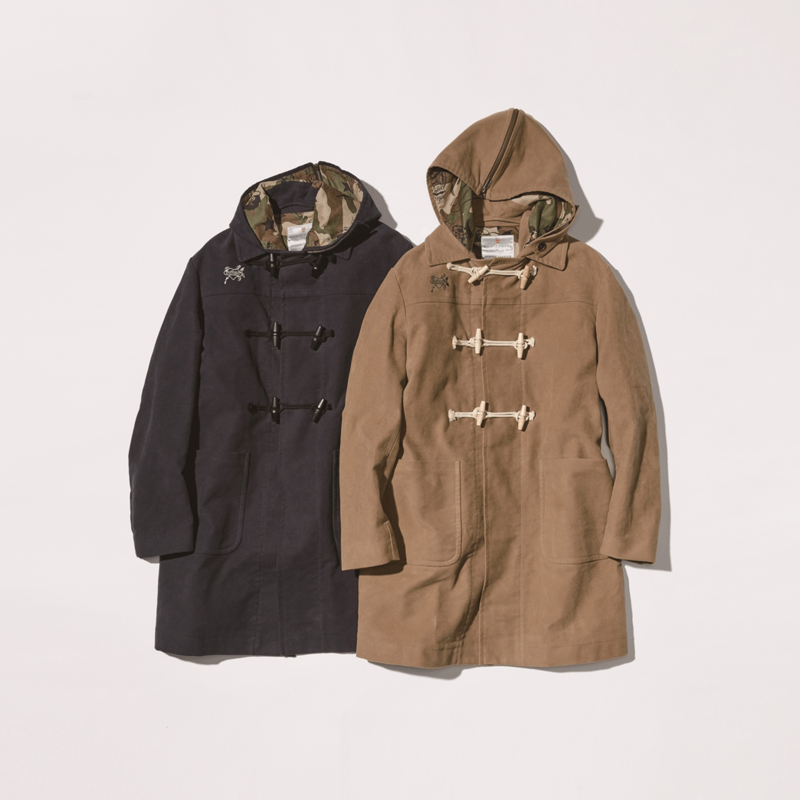 An exclusive item made by the origin of Duffle Coat brand in England, Montgomery. Item is based on “Fisherman Duffle” made in 1940s known as distinctive detachable sailor collar hoodie and arranged in materials by using cotton mole skin for body part and original military pattern on inner layer. We have also arranged in silhouette to produce Duffle Coat that matches customer needs. This time, HYSTERIC GLAMOUR is focusing on the pop-up store at “Isetan Shinjuku Store” with the theme of ’90s trend which is becoming big fashion movement started from Millennials spreading through new generation. The event will be displayed in picturesque expression from HYSTERIC GLAMOUR perspective. Please enjoy the trend of fashion and culture of “’90s and present” with a revival model from HYSTERIC GLAMOUR archive. New collection are revival model of short length Tee and tank top with a perfect reproduction in details, from graphic, coloring, and even design of name tag. It is not only nostalgic, but still new and fashionable.